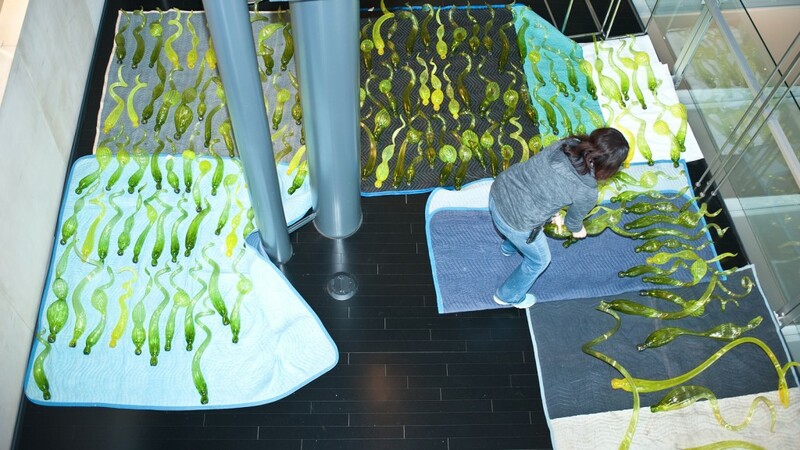 A highlight of the Museum’s Admissions Lobby and a favorite of many Museum visitors, Dale Chihuly’s Fern Green Tower is a sculpture made up of more than 500 individual citron green hand-blown glass elements. On March 4 and 5, two members of Chihuly’s team will work with the Museum’s preparators to clean and recompose the artwork. Using new and larger metal armature, approximately 170 new glass elements will be added to the sculpture increasing Fern Green Tower from 11 feet to approximately 15 feet in height. Fern Green Tower in the Museum's Admissions Lobby is growing. The Museum’s collection includes many works by Chihuly, including pieces from his Navajo Blanket Cylinder series and Seaforms. Chihuly gifted Fern Green Tower to the Museum in 2000 for the opening of the new additions by architects Smith-Miller + Hawkinson. With recent changes taking place in the Museum, the Chihuly team decided to increase the scale of the sculpture by an additional three feet to compliment the architecture. Chihuly is an internationally celebrated artist whose prominence in the field of Studio Glass is unmatched. From the beginning of his involvement with glass in the 1960s, Chihuly has focused on the sculptural qualities of the material using the blown vessel as a vehicle for the exploration of color and form. As a young artist in the 1970s, Chihuly was good friends with the Museum’s founding director Thomas Buechner. He is now an emeriti trustee of the Museum. “Chihuly enjoys massing color together and then shooting light through it, and color and light in glass are a powerful combination,” says Tina Oldknow, curator of modern glass. 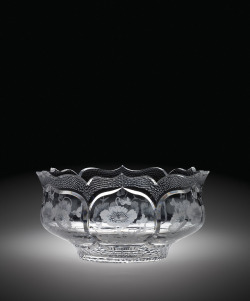 With the addition of a new North Wing, the Museum is continuing to grow its collection of contemporary works in glass that will be on display in the additional 26,000 square feet of gallery space opening in 2014. Be sure to check out the Museum’s Twitter and Facebook page for updates throughout the week. And come see our new Chihuly beginning Wednesday, March 6. 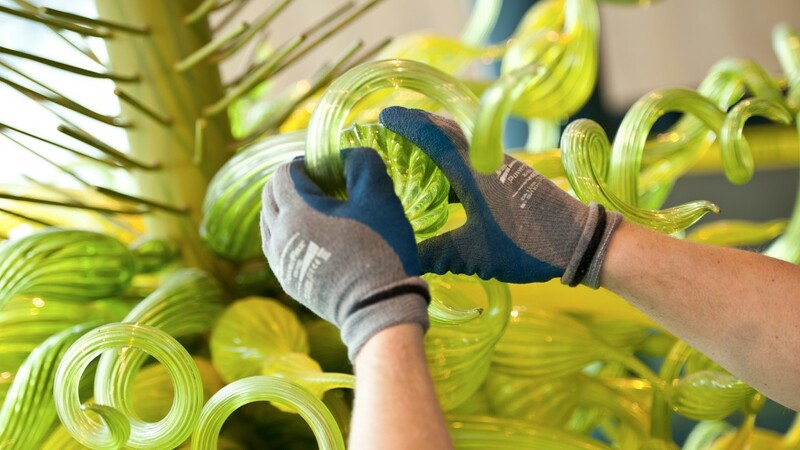 More than 500 individual citron green handblown glass elements from Chihuly's Fern Green Tower are being cleaned. 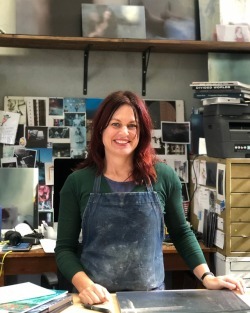 Wonderful blog and title! Love Chihuly!